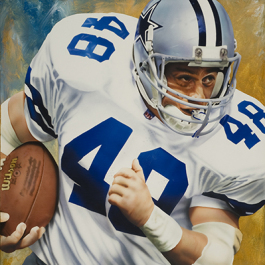 A Day at the Game is reminiscent of the paintings of Norman Rockwell, but this is pure NFL art and is a perfect painting that shows the love of children of all ages for the National Football League. 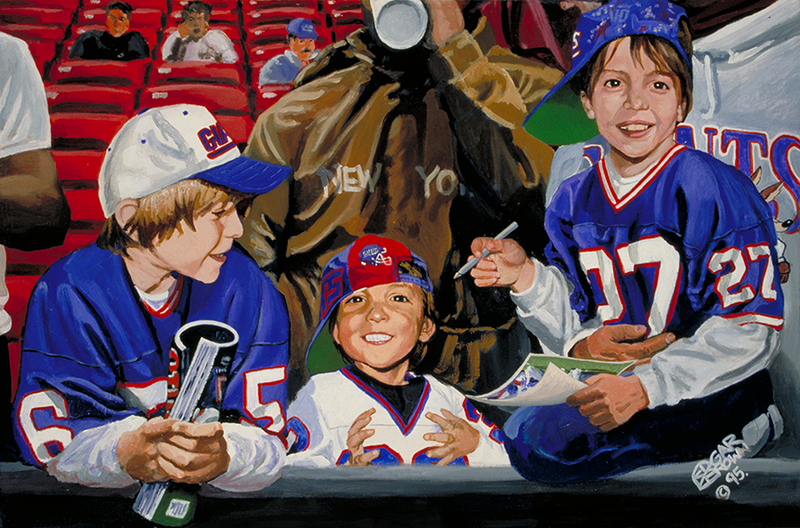 All dressed up in New York Giants jerseys and caps, this painting shows just how much these three little boys are enjoying NFL football and a day at the game with their dad. 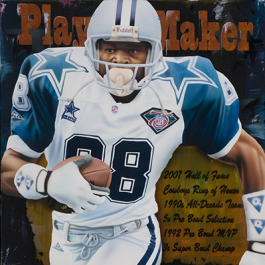 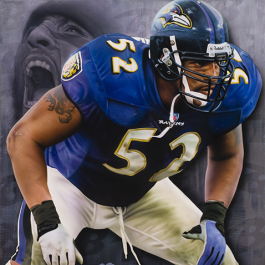 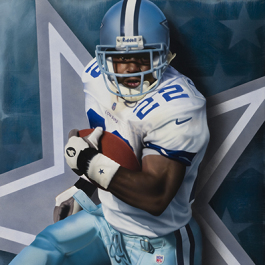 This NFL painting is a great addition to any man cave or sports art collector’s favorite piece of NFL memorabilia.